The meaning of RSVP in English is "please respond." It literally is a French abbreviation for répondez s'il vous plaît, which means the exact same thing. On a wedding invitation, if a couple writes RSVP they are asking you to reply promptly, typically using an enclosed response card. Sometimes they'll ask you to respond by telephone or email. You can also reply on your own stationery, which is the most formal and traditional method. Does RSVP Mean You Have to Respond If You Can't Attend? RSVP means respond either way. An engaged couple needs to know as soon as possible if you can or can't be there. 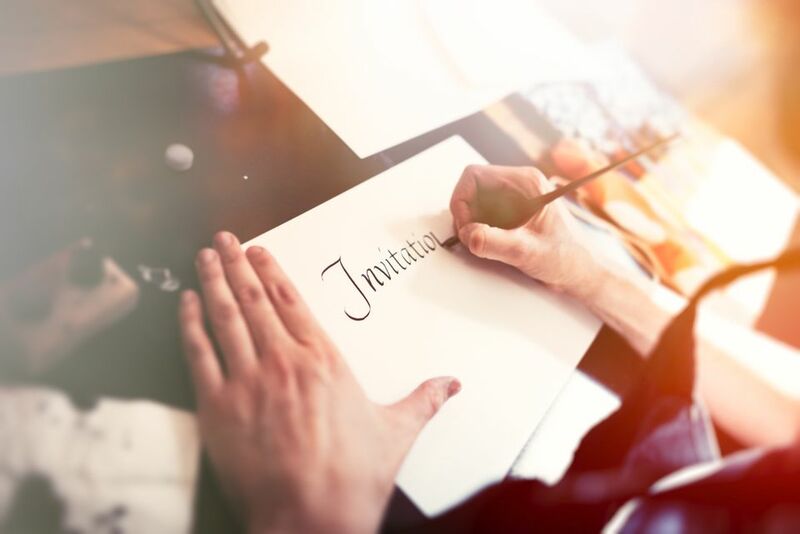 They've probably had to make hard choices about their guest list, and they may be waiting to see how many of their original invitees decline before sending out a few additional invitations. You'll often see "RSVP By [a certain date]" or, "The favor of a reply is requested by [a certain date]." Your hosts have selected the date that allows them to have enough time to plan and prepare. They need to know in advance how many seats, tables, programs, and favors they'll need. Most importantly, caterers require exact numbers and charge extra for last minute changes. Ideally, you'll have responded as soon as possible, long before that date. What If You Don't Know If You Can Be There? Sometimes the RSVP date comes and you still don't know if you'll be able to be there. You may still be trying to find affordable travel arrangements, a babysitter, or time off from work. When you're in this situation the best thing to do may be to decline: if you truly wanted to be there you probably would have figured out a way long before the deadline. If they're close friends, phone the hosts with profuse apologies, explain the situation, and ask if the reply date has any flexibility. That way they're not forced to track you down or wonder if you're coming. However, this approach should be used with discretion. If every guest asked for flexibility the hosts would be completely overwhelmed. RSVP means please respond, and that's exactly what you should do. Tell them that you've received their invitation and let them know if you'll be there as soon as possible. Nobody likes to be kept waiting, especially for something as important as their wedding. Do You Know How to Address Your Wedding Response Envelopes?